Can I Dredge not from one Golgari Thug, but two? 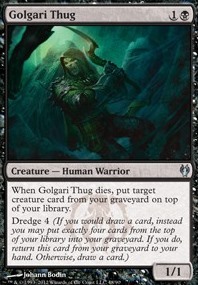 What is the proper interaction of Golgari Thug's dredge with skullclamp? What happens if you sacrifice Golgari Thug to Vaevictis Asmadi, the Dire's ability? It seems like your deck is trying to me too many different things and needs to lean in to one thing more. I would probably cut some of the cards that only mill your opponents and bring in more that mill yourself so you can better use lazav. 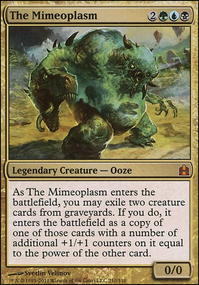 Traumatize yourself and you actually get more benefit than traumatizing an opponent with how your commander works. 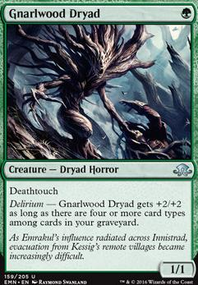 You could also benefit from some dredge creatures like Stinkweed Imp or Golgari Thug for that sweet sweet self mill. You can actually put some things that lazav can use to combo also, but I can't recall what they are at the moment. Boza Really? Do you know how many Flying Men and vanilla 3/2s for 3 have been made? 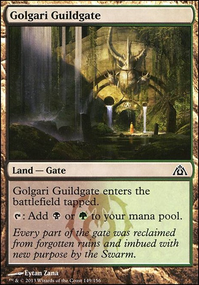 Tons of random gain life taplands, vanilla creatures, or creatures with... trample or reach (or both like Archweaver , yeah that'll take days to code). But SynergyBuild, tons of spells are in this game... like Firebolt or Advent of the Wurm , or complex multi-lined creatures like Ambush Krotiq . While I understand there are complex cards, perhaps replacement effects like dredge, etc. could be difficult to make (but once done the code can be copied over from Darkblast to Golgari Thug ), and the mythics and walkers that need voices and animations can be difficult to get, but a vast majority are super easy to make. 50% could be done by just putting art and the keywords on the cards. Random discard spells, burn, countermagic, card draw, ramp, tutors, fatties, dorks, taplands, duals, etc. could all be so easy to make and the other 50% would just be cards with keywords like Battalion they'd create and copy between everything. Opponent mill is not worth it in multiplayer Commander; it's too slow, not reliable enough unless infinite combo with Altar of the Brood or Altar of Dementia . Self-mill however is good especially with dredge. Consider Grave-Troll and Thug? These along with Stinkweed who you're already playing give a lot of budget repeatable self-mill. Buried is a powerful budget spell especially with these dredge creatures since you can tutor for and put all three into your graveyard with one card. If you're willing to add a few other cards that are over $1 then consider adding Eternal Witness , Fauna Shaman and Protean Hulk ? These three are powerful and do different effects that are good with Muldrotha. Witness can recur any card from your graveyard. Fauna is a repeatable creature tutor while also an enabler to get creatures such as dredge creatures into your graveyard. Hulk has budget combo potential. Consider Flash + Protean Hulk + Phyrexian Delver + Carrion Feeder or Viscera Seer + Body Double ? 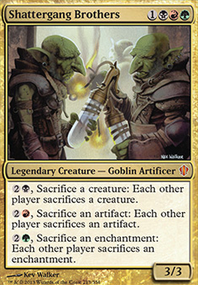 It's a budget combo to tutor for creatures by sacing Hulk and repeatable with Muldrotha.